Being a Dungeon Master can be a hard job! It takes time and creativity. 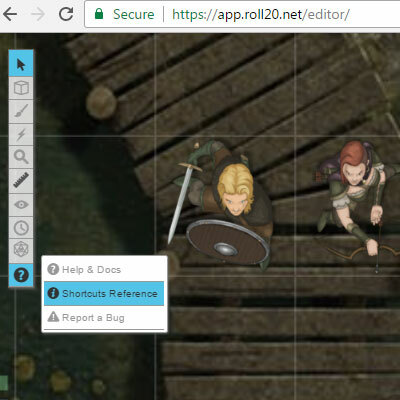 Using the tools Roll20 has to offer, can make your job as a DM so much easier! It also offers options that you normally do not have when playing at the table. Get ready to rock your Roll20 game with these tips! 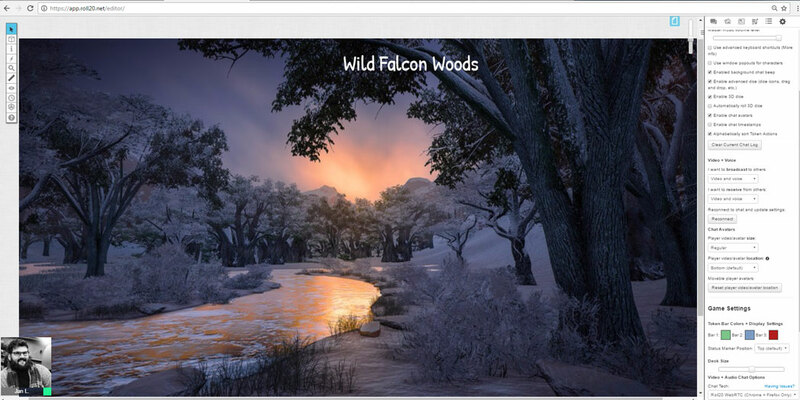 To get your players in the mood, and to prevent them from being bored, it is a good idea to create a splash screen. A splash screen can be any Roll20 page. It can be a single image of the environment your players are currently in, the map of your world, or a more interactive page. When your player gets a special item, pet, or companion, it can be great to remind them by adding that creature or object to the splash page. The above splash page was created with free objects found by Roll20’s search engine. A good way to make it clear to your players that your game is starting is by giving a short recap. I always ask my one of my players to write a short synopsis of the episode. If there are no volunteers, I roll for it. The synopsis can be as short, or as detailed as they want. I also like to ask my players to write the synopsis from the characters point of view. This gives you and the other players an insight in the reasoning of the character, and makes the character easier to relate to. At the end of the campaign you might have enough material for a small novel! In film making there is something called an establishing shot. It shows you the location of the scene, and the relation between area and characters. For example the immense aerial shots in the Lord of the Rings. Using Establishing Shot images are a good way to set the mood for your adventure. Using a good image and a vivid description, can make your players feel as if they are actually there. Another reason for using Establishing Shots is concentration. If you keep your players on a battlemap while you tell your story, it can be quite distracting. While you are storytelling and roleplaying, you want to reduce the distraction to a minimum. 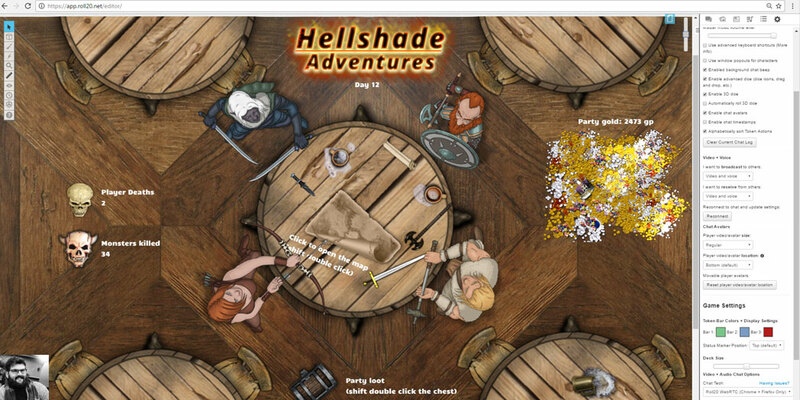 If you are hosting a private game for friends, you can find amazing images on websites such as Deviantart. 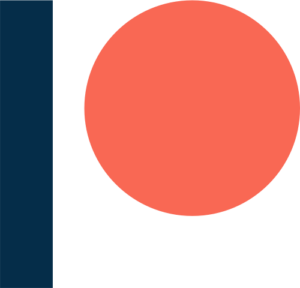 However if you are planning to stream, or make a video of your game, you will have to make your own artwork or fiend some royalty free stock artwork such as the one I used above. In your settings tab under the cogwheel, make sure you check the ‘Use advanced keyboard shortcuts’ box. When you are in your Roll20 game, and you forgot a keyboard shortcut. Press the question mark in the toolbar. This will open a quick help box, that includes the keyboard shortcuts. 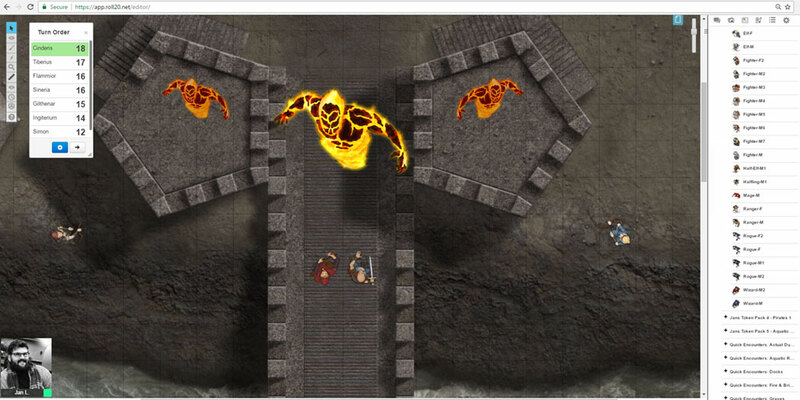 Dungeons and Dragons Fifth Edition is supported incredibly well on Roll20. Because Wizards of the Coast (producer of D&D) have made the rules an Open Game License, Roll20 was able to incorporate much of the rules within the system. This means that you can find monster statistics, items, and player rules just in a few clicks. To get the 5th edition support, make sure you select the ‘5th edition (OGL by Roll20)’ character sheet, when creating your new campaign. Imagine you have a player that has a certain magic item. 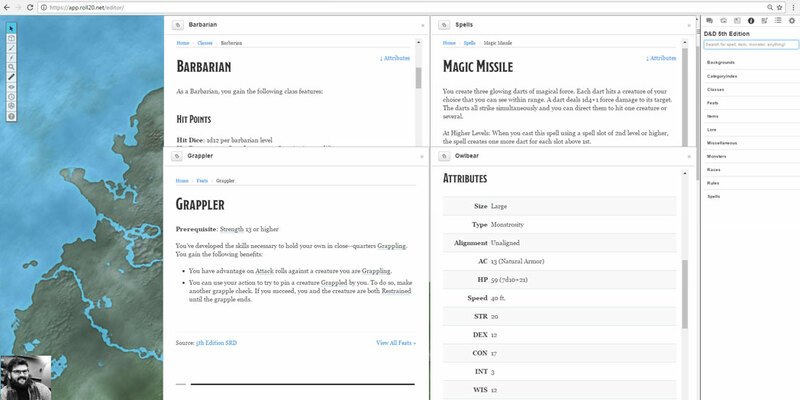 You just drag the magic item from the rule set in to the players character sheet, and it is automatically added with all the rules. Including the players bonuses to attack and damage. The same goes for monsters. You can just drag and drop the statistics of a creature on top of a NPC character sheet to give it all the statistics. It is no longer necessary to copy/paste or manually write out the statistics for an NPC or monster. There are many online generators out there, making it easy to find a name for your roleplaying character. However, Donjon RPG Tools takes fantasy generators to a whole new level. Besides the fantasy name generators, Donjon offers complete random encounters by challenge rating. Just finished your random encounter? Roll the Treasure Generator to give your players appropriate rewards for their level. It offers so many tools! One of my favorites is the Random Inn Generator. It gives you an inn, with backround story, name of the innkeeper, and a complete menu of fantasy drinks and food. Having Donjon open in a tab while you play your Roll20 games, makes improvisation so much easier. The initiative counter shows the names of monsters. People that have been playing for a while, might know exactly what a monster does when they read their name. Experienced players may know exactly how to tackle a Fire Elemental, but if you give it an unique name such as Cinderis, they won’t know what to expect. With an unique name, you can change a creature’s abilities on the fly. Rules lawyers might speak up, if you pimp your Fire Elemental with new abilities, but they can’t complain if they are fighting Cinderis, since it is a creature they are not familiar with.